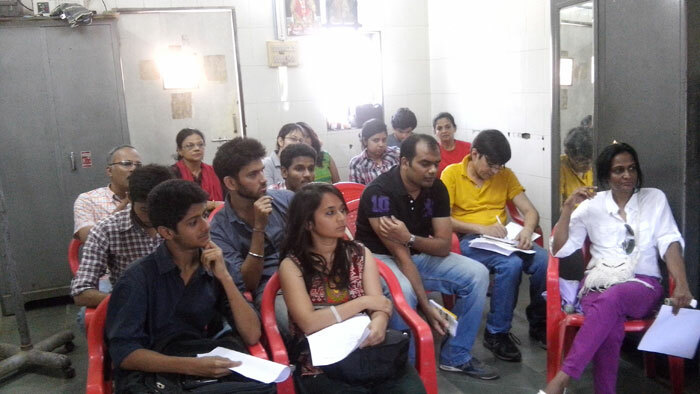 An Adoption Workshop was held at IDA India Deonar Centre on 11th May 2014. At our Centre we always have one or the other abandoned dog or a lovely pup waiting to be adopted into a good and safe home. Every day we try out ways and means to complete good adoptions and to a certain extent, we are successful. But sadly, this is not always the case, and sometimes, even when a beautiful pup is adopted, it doesn't work out and he or she is returned. It is because of this we thought of holding an Adoption Workshop where like-minded people could come in and we could share valuable ideas. It did happen and we are happy to report that everyone went away with some idea of how to help in this process. We had invited some experts to guide us re problems one has in the initial stages of adoption, especially when the adopted pup or kitten was very young. 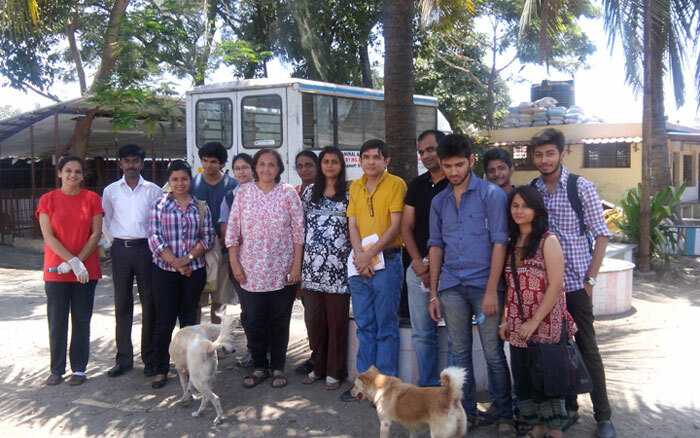 Varsha Pillai has successfully fostered any number of young kittens and pups and then worked for their adoption as well. She told us in detail of how it was very important to do feeding at regular intervals so that correct weight is maintained, what to feed the infants and how to be in touch with a Vet at all times as little ones are very delicate and should be medicated under supervision of an expert. Dr Vinay, our In-house Vet on Sundays, gave us important information about vaccinations and simple ways to keep the adopted pup healthy and happy. He advised about duration of baths and how to give them, what exactly to feed to infants of different ages, what tonics they require and all importantly, how to treat them for parasites, internal and external. The Vet for instance, should always be consulted when using sprays or applications for fleas or ticks, as many of them might be too toxic for the very young. A record of yearly Vaccinations was absolutely essential for companion animals and on no account should this aspect be neglected. Dr Vinay told us that pups and dogs show signs when they are ill but many times, cats look quite normal when they are sick. It is thus important to keep in contact with a Vet at all times and take one's friend in for an occasional check-up to make sure that all was well. Then we turned to the focus of this Workshop, namely the successful adoption of street pups in need / rescued dogs / abandoned adult dogs / lost kittens. Many people are first time adopters and there is every likelihood that the adoption might not work. For this we thought that Adoption Counseling would be very helpful in two stages, before the animal is taken home and then again 'at home' at intervals. This could be done by anyone staying in the same locality and who has experience bringing up a pup or a kitten or introducing an adult dog into the home. Advertising / Promotion of the cause: This was discussed at length - what means to use and how to do it 'pro bono' preferably. One of our guests is reaching out to a friend in the media for ideas on how best to reach and influence public thinking regarding adoption of Indian dogs / kittens / abandoned dogs. Another young group was prepared to make short videos of various aspects of adoption. Then we look for places to air these. At present a spot on cable TV seems the best bet. We will also be looking into radio spots / ads for adoption. "Trial Adoptions" inspired by Cesar Milan, this would last for two weeks while the family sees if the adoption is okay for them. Like Cesar does it, counseling during this time by a helpful team would be carried out to make sure the animal is not returned after two weeks. Even this would be okay, as the concerned dog or cat, pup or kitten would have the valuable experience of being in a home environment. Training for Home Environment / Making animals 'people friendly' : For this volunteers have already agreed to come in whenever they can and walk our adult dogs and naughty pups. Also there can be simple training done with the help of our behaviourist who we are in contact with. Simple instructions and actions like the 'sit', 'stay' and so on, just to make them behave politely. Grooming also goes into this, as it is a daily requirement which the animal also enjoys. A well behaved pup or dog has a good chance of being welcomed into any home. Finding Appropriate Adoption Sites: We are going to consider the best sites on which to display our animals for adoption. They have to be showcased in the best possible way. At present IDA India has a great Adoption link on the IDA website but with somewhat limited viewing. This has to be expanded drastically to increase adoptions and we are going to try our best to do just this. Media also comes in very handy for this type of exercise. How to Care for Tinies: Small animals need specialized treatment at home. Any infant under 2 months of age has to be handled with great care and advice from the experts. This is where adoption counseling will come in handy and also access to experts among us in this field who can guide the family through the initial stages of the adoption. How to Care for Adult Animals newly adopted: This presents another set of problems, easily solved if one is thoughtful and cautious. Many people experienced with animals as part of the family will have no problem, but a first time adopter certainly will. Here it is important not to rush into anything. The family should meet and make friends with the chosen dog, bond with him or her and when the dog is comfortable with everyone, and all know how to interact with their chosen companion, only then the adoption should be completed. A behaviourist is very essential in this case and should be consulted at intervals to keep everything going smoothly. Involving "Care-takers" in different localities: These are a precious lot who feed and care for any number of dogs in their locality. This is not "Adoption" in the usual sense, but it works very well in many ways. For instance, each and every year dogs should be vaccinated against rabies and distemper. This includes both in-house and outside dogs. Here is where the care-taker comes in. The interaction has made all these animals friendly and much easier to handle than a strange dog. The Care-takers also see to it that all dogs in their vicinity are spayed and neutered. Thus they are doing sterling work just by taking care of multiple dogs at a time. Project Toby: Named after a precious little black male Pom we rescued some time ago, but who is still waiting to be adopted. We thought that it would be beneficial to Toby if a small group undertook the responsibility for his safe and happy adoption. He is so good-looking that he has been adopted once but sadly he was returned. Yes. It was a first time adopter who was clueless. Sitting and explaining everything doesn't help. Maybe group intervention would be much more successful at different stages of the adoption. Anyone interested, please register to join and make up such a group. We have a number of Tobys waiting, and they are all lovely dogs. As you can imagine it was an exciting session, buoyed up with complete optimism. Now all you have to do is help all NGOs and individuals with adoptions yourself. This also works. We know of many good people who rescue animals, keep the little one in their own home and then reach out to friends and relatives and finally manage a good adoption. All of us love animals, let's help them in the most meaningful way. Let's look for good homes for those in desperate need. Note: We have a lot of informative handouts on kitten, puppy, adult and elderly companion animal care. This material is available at our Deonar Centre. Or if you an expert yourself in this field, we welcome your input. Be in touch. We will have a follow-up workshop in about two months to check progress. Please involve yourself and all the best in your efforts.